However, the thoughtful female Nigerian poet hadn’t even hit stride: “If you are a white woman, you are privileged because you are white.” C’mon sister! Perhaps at a celebratory event at an elite school, it verges on psychotic to denigrate 60 percent of your audience – you know, those privileged sad sacks who keep the school financially secure so that the oppressed can attend. Nah. The remaining 40 percent seem to nod vigorously while the colorful Third World shawls and scarves worn over traditional black gowns flutter in the carnival atmosphere. Now I know full well this “courageous” woman is entitled to freely her speak her opinions – after all, this is America. Not Nigeria. With that fatuous, comic nightmare a year old and the serious kids like mine and his pals heading off to old-fashioned work and paychecks, this year I attended another commencement, for Little Nellie, at Navy-Marine Corps Stadium in Annapolis. Coincidentally, like my old man, the speaker’s Dad had started as another one of those jackpot-winning laborers; unlike Nellie Sr., he ascended to astronomical success. President Trump spoke to the United States Naval Academy Class of 2018 and it was all that could be hoped for – that is, by the Midshipman and parents of Midshipmen who had seen their kids endure four years of military discipline, barracks life, tough physical tests, three summers away at sea, and mandatory softball courses like Electrical Engineering, Calculus, Thermodynamics, and Chemistry. Seventy five percent of my middle son’s class (including him) are STEM majors. No B.A.s in Dance or Latino Studies or Gender & Sexuality. Or Poetry, alas. 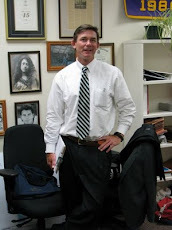 Both at Faber and USNA, the brainpower is acute, but perhaps the rigor debatable. Approximately 13 percent of my kid’s class was forced out in the years following Day 1 of Plebe Summer. At Faber, if you get in, you stay in – the only way you leave is if you knock down a faux shantytown constructed by some kid wearing a guitar or if you fail to appear at an OWS rally. Nevertheless, the intellects and ambitions do intersect. While it seems an increasing number of Faber kids opt for exploring their “creativity,” asking what this artistically starved nation can do for them, many of the Faber kids go on to use their privilege in finance and law and medicine to add value and economic vitality to the national engine. How do I know this? The Faber Board helps manage a whopping $2.3 billion endowment, which I guarantee you is run by those “jackpot guys” whose sweat and skills allow the social justice warrior grads to stand on shores pleading for the oceans to recede all the while giving voices to the voiceless. The Annapolis grads enter into a different realm. They are all almost immediately responsible for the welfare and lives of thousands of sailors and Marines and untold millions of dollars of equipment, some of it lethal. No time for performance art, comrade, when you’re sitting atop ordnance that can reduce a thousand voiceless bad guys and their shrines to ashes in a righteous instant. What’s so compelling is that given these two institutions represent the extremes, their commencements represent the tenor of the times. At Faber, for an immigrant, no less from a flailing state (goodness, you cannot make this stuff up), it’s all about the introspection, the self-absorption - this desperately flawed nation the graduates are forced into; the recitation of a laundry list of all the tired and reflexive tropes – social validation, gender injustice, those without voices, evil privilege, and oh yeah, “calling your elected officials” – it’s the faculty lounge in full grievance mode. A majority of the crowd endures the “dialogue” with the stoic condescension it deserves. 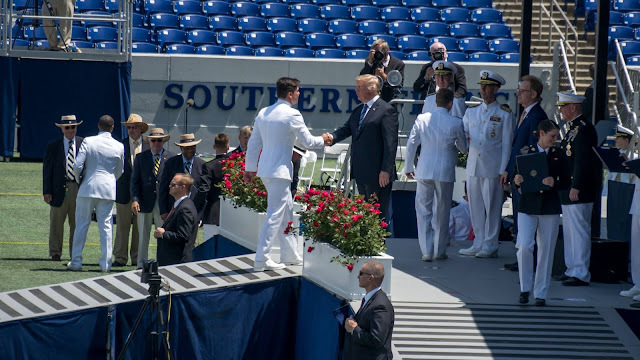 At the Naval Academy, the language is swaggering bravado for certain, but it’s also resolute, confident, uplifting; it recalls heritage and sacrifice and heroism and a genuine acknowledgement of what the Midshipman have accomplished and a reminder of the responsibilities they will soon confront all over the globe. Our Faber speaker, in an incredible turnaround almost completely indicting her past ramblings, closes with a quote not from Maya Angelou or Gabriela Mistral, but from a 19th Century paragon of white female privilege, Emily Dickinson: “`Hope is a thing with feathers.’ It makes me imagine hope as something both breakable and forceful.” C'mon sister! The eye-rolling is palpable as this tepid charge to the graduates echoes around the now half-full venue. And instead of feathers, all we get is the force of the Blue Angels blasting over the crowd at 300 mph, with yes, the woke sound of freedom. لو انت تريد حل قوي جدا وفعال في التخلص من الحشرات في منزلك ليس امامك افضل من شركة مكافحة حشرات بجدة وفي حاجة إلى شركة رائدة تخلصك من الحشرات المنتشرة حولك فأليك الأن أقوى شركات منطقة جدة ومكة والطائف شركة مكافحة حشرات بجدة وكذلك في مكة المكرمة لدينا شركة مكافحة حشرات بمكة المكرمة ولدينا شركة رش مبيدات بالطائف متخصصة و شركة مكافحة حشرات بالطائف تعمل على مكافحة الحشرات المختلفة في المنازل والمزارع والحدائق والشوارع والفلل والقصور وغيرها من الأماكن المختلفة حيث توفر لك الخدمات اللازمة في حل مشاكلك الصعبة المتعلقة بالحشرات المنزلية. Malibu, California: Nellie in the womb-like chamber of Mother Nature. This is a Flickr badge showing public photos from jeff_nelligan. Make your own badge here.